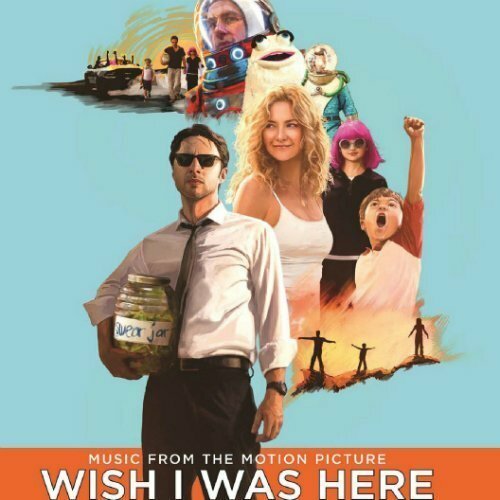 Today, the title song from the soundtrack for the upcoming film Wish I Was Here was released. You can listen to it above via NPR. "Wish I Was Here" is a lovely indie song featuring Cat Power and Coldplay. Cat Power's signature bluesy voice blends beautifully with Coldplay frontman Chris Martin's high-pitched falsetto. Zach Braff, the director and star of the film, arranged for Chris Martin to view an early version of the film and Martin then wrote the music and lyrics for the track. Chris had the idea that it would be sung by a woman. I thought that was a genius idea, because one of the things the film is about is a strong woman (Kate Hudson's character) becoming the matriarch of her family. When Chris and I were talking, we both kind of simultaneously said, 'Cat Power.' I reached out to Chan Marshall (aka Cat Power) and she and I met and really clicked. I set her up to watch the film in her apartment. The whole time she was watching she kept texting me all the different parts she was loving. She said yes the instant it was over. Wish I Was Here hits theatres July 18th. The film also stars Josh Gad, Kate Hudson, and Mandy Patinkin. For more information, be sure to check out the film's official website. You can preorder the Wish I Was Here soundtrack on iTunes. You can also listen to two other tracks from the album, Bon Iver's "Heavenly Father" and The Shins' "So Now What?" here on Zumic. For the latest music, videos, and tour dates please visit Coldplay and Cat Power's Zumic artist pages.